Fiat is expected to push for more distinct product lineups for Chrysler, Dodge and Jeep. CHICAGO (Bloomberg) -- Sergio Marchionne, the CEO of Chrysler and Fiat S.p.A., said he must be open about corporate governance matters between the two companies. Italians' concerns that a combined Fiat-Chrysler may put its headquarters in the U.S. are overblown, he said Wednesday. No decision has been made on governance or a headquarters location, he said, adding that the issue isn't one to be dealt with before 2014. “It was a typical overreaction to an honest reflection of the issues that must be dealt with,” Marchionne said in an interview at the Chicago Auto Show. Last week in San Francisco, Marchionne told reporters that two corporate structures for Fiat and Chrysler don't make sense after the U.S. automaker goes public. Chrysler has said it could make as much as $500 million in net profit this year and is aiming for a public offering in the second half. Chrysler plans to repay U.S. government loans and launch an initial public offering as early as this year before the company and Fiat will explore a merger, Marchionne has said. 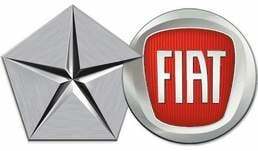 Fiat owns 25 percent of Chrysler, and may boost the stake to 51 percent.